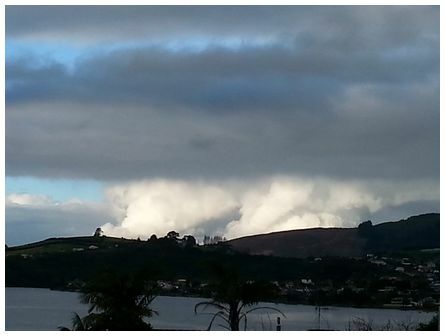 'Two billowing clouds that moved off quickly over Welcome Bay Tauranga. Taken 19 July 2017 at 15:45' wrote Josefa. 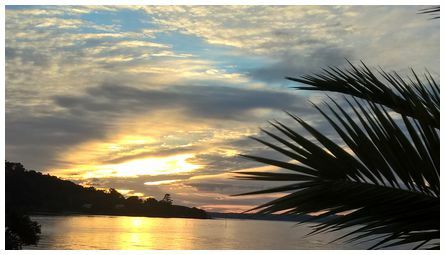 'Hi James, photo taken on on 5 August 2017 at sunrise from the Tinopai camp site looking across the Kaipara harbour with a chilly northeasterly pushing the cloud fronds toward the palm tree fronds! Taken on my Windows 10 phone' wrote Johan. 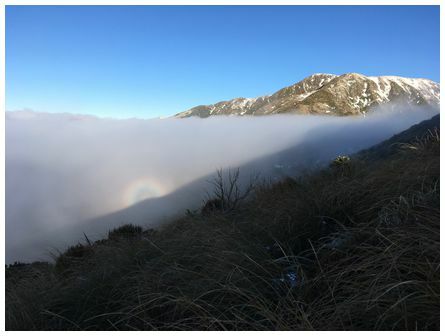 'Brockenspectre near Table Top on our way down from a day walk to Mt Hector in the Tararuas, taken 16:00 on Sunday 30 July 2017' wrote Emily. 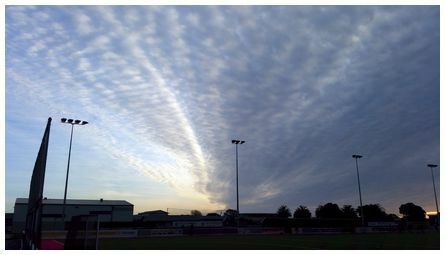 'Taken in Greymouth (over the Hockey Turf) looking southwest at 17:08 on 1 August 2017. In talking with others we'd not seen a cloud system like this before here, and many thought it looked like a 'norwester arch' from Canterbury. 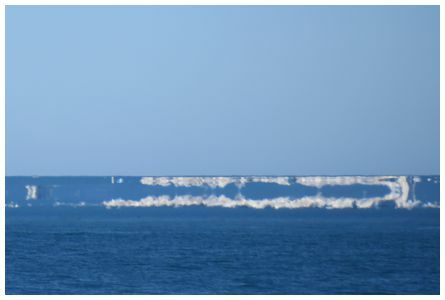 My daughter said it looked like 'waves', was shot on a Galaxy S5' wrote Mark. 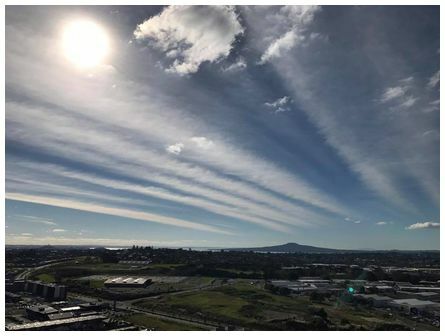 Marion wrote 'fabulously stunning cirrus radiatus clouds over Auckland taken from Mt Wellington at 14:51 on 31 July 2017. 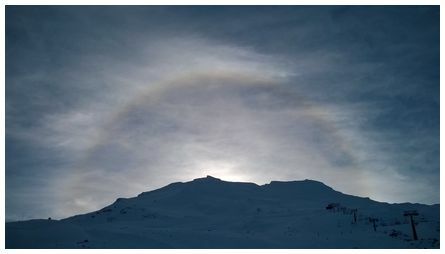 I haven't ever seen this before, but good ol' Google said: cirrus radiatus clouds are formed due to convection currents being created in the unstable layers of the upper atmosphere.